Every year I try to ignore the holidays and they creep up on me. For Halloween I actually had some fun ideas - 2 separate themes - I was going to go all out...but life took over instead. Next year - expect amazing things (my fingers are crossed as as I type this). and still barely am getting it posted early. 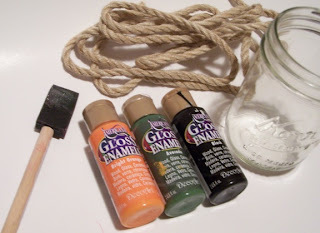 Anyway...I received a bottle of DecoArt Crystal Gloss Enamels about 3 months ago and inspiration struck for 2 projects - one for Halloween and one because I loved it (that post is coming!). This is my favorite kind of holiday crafts - one the kids and I can do together! It is SUPER-EASY! Although they wondered why we were painting pumpkins in July! I have used the Gloss Enamels many times and love them...but I may have found a new love - look at the gorgeous translucent color Crystal Gloss Enamels gives, so I combined the two here. Go check out the full tutorial at The DIY Club!It is easy and fun! 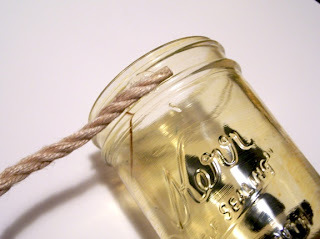 NOTE: By the way...there have been about a million tutorials on tinting glass jars on blogs/Internet since I made these. This is the method I used and it worked for me. Nestle candles into the beans. You can also use these as fun vases - the Pink Jars I made had water/flowers in them for 2 weeks and the paint stayed perfect! 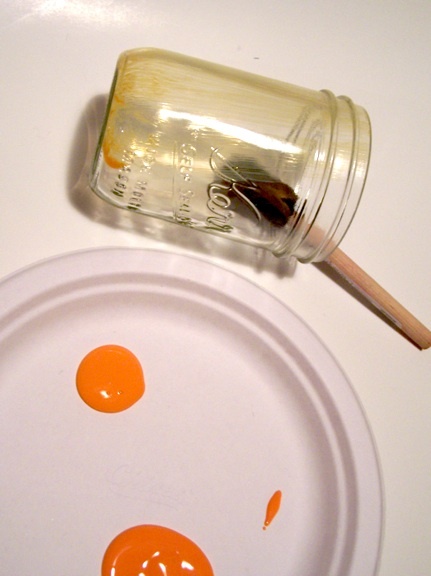 and the paint is really inexpensive too! How are you coming on your Halloween Decorating? DID YOU ENTER TO WIN THE SOCAL SOCIAL SWAG YET. I HAVE 2 BAGS TO GIVEAWAY! Disclosure: Some products received through the DIY Club. See my full disclosure policy in the top navigation bar. Fun project! You are way ahead of me - I haven't even bought a pumpkin yet! Cute! 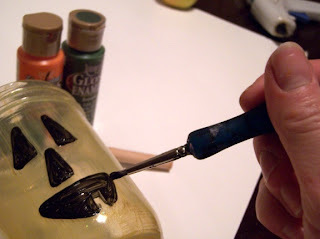 I've got to get my Halloween on - I'll fish through my recycle bin for glass jars and do this! Thanks for the idea! 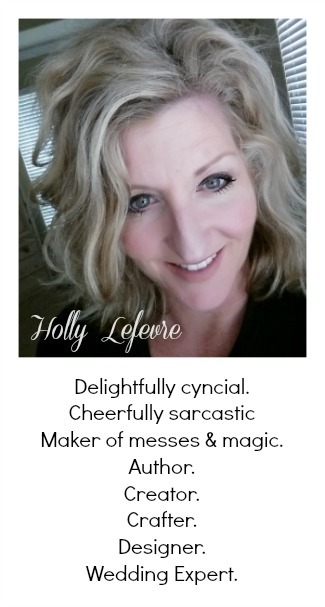 Cute, Holly! I love the effect of the DecoArt on the glass. Holly! This idea is adorable and super creative (of course!) You always find the most fun things to make. These are right up there with the tattooed pumpkins.